MY FATHER’S HOUSE …. new update! We just welcomed our new students. 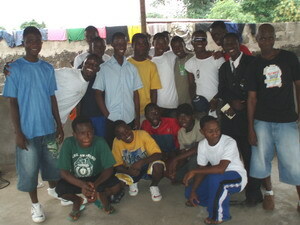 These are the boys who have just moved in from Paynesville. We are in the process of registering them all to highschool. If you could help fund a student please email Karen at provisionofhope@yahoo.ca Those underlined still need funding. All these boys would like to finish highschool. To make this happen we will need funding.